Brooke is an enthusiastic Myotherapist that is highly fascinated with how the human body functions and how it can recover from new & pre-existing injuries. She believes strongly in empowering patients through the use of education and exercises. Brooke uses a variety of techniques to decrease pain and help prevent further injury. She believes hands on treatment and exercise are two vital components towards helping her patients achieve their goals. Her overall goal is to promote pain-free movement and prevent pain from reoccurring. She will aim to identify the cause of pain to ensure quick, effective and long-lasting results by using a treatment plan and goal setting. 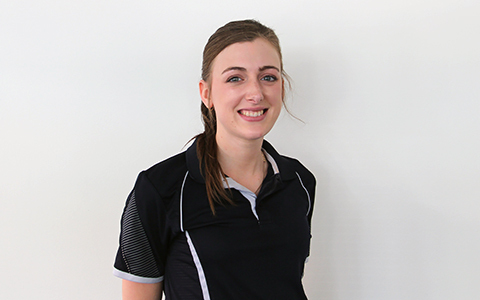 Brooke achieved her Advanced Myotherapy qualification in 2015 at RMIT University. Through her education and experience, Brooke has a great understanding of individualising treatment to suit your requirements and goals. Brooke is skilled with treatments such as deep tissue massage, cupping, dry needling, trigger point therapy, lymphatic drainage (for oedema, post-surgery/injury and hay fever) and rehabilitative exercises.